Find your favourite festival here! Tarbert is perfectly placed to be the festival capital of Argyll! The village lies on the west coast of Argyll, at the north end of Kintyre and is a scenic two-hour drive from Glasgow. The village is also served by an hourly ferry service which runs between Tarbert and Portavadie, with ferry ports to Arran, Gigha and Islay a short drive away. 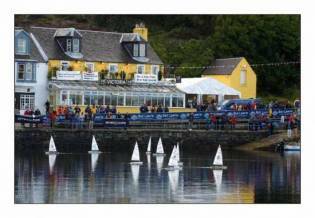 The Scottish Series yacht race takes place each year on the last weekend in May. This is the UK’s second biggest yachting event and is a serious and challenging regatta. 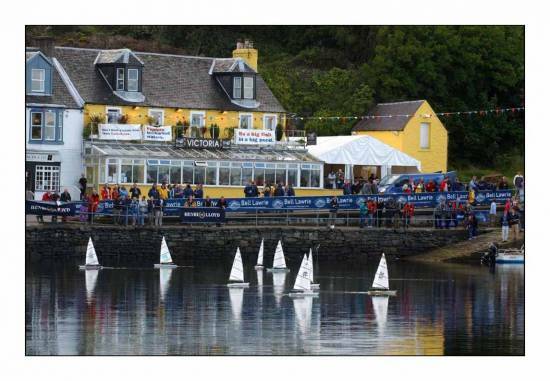 Whether you’re a sailing enthusiast or just want to join in the fun onshore you’ll marvel at the spectacle of the yachts as they race out on Loch Fyne. This is a seafood lover’s dream – a weekend dedicated to the wonderful seafood landed in Tarbert and exported across the world. You’ll find cookery demonstrations and competitions, tastings, and lots of delicacies to tempt your taste buds on offer. With an emphasis on family fun, the Seafood Festival is two days of fun, games and music. Look out – the Vikings are coming! Did you know Tarbert has a Viking heritage? In 1093 Magnus Barfot claimed Kintyre after pulling his ship across land from West to East Loch Tarbert and declaring Kintyre an island. This feat is recreated every second year with the village’s own Viking ship, Freydis leading the procession. Come and be a Viking for a weekend with us! Another fun, family event is the Traditional Boat Festival. Attracting traditional boats from the UK, Ireland and even further afield, come and meet the people who live, work and care for their boats. And, if you’re daring enough you can try navigating the greasy pole and winning a bottle of whisky! The event features contemporary and traditional Scottish Music set in the pubs and hotels around the harbour. In the evening bands play in the various venues so you are able to sample a number of the bands performing at the festival. There is an open air concert on the fish quay on the Sunday and is open to all. Tarbert’s book festival is now well established. The plans are in the early stage for the coming year, but rest assured that the traditional welcome to the village awaits all visitors. Tarbert’s Christmas Fair brings a cheer at Christmas time.